If you are the type of person who have that heart for plants and anything green, then this item will surely appeal to you. Even if I am not a garden person, I still love the idea of having plants inside the house or having an indoor garden. It would really be nice to see those green things sprouting not just in your yard but even in the heart of your home. 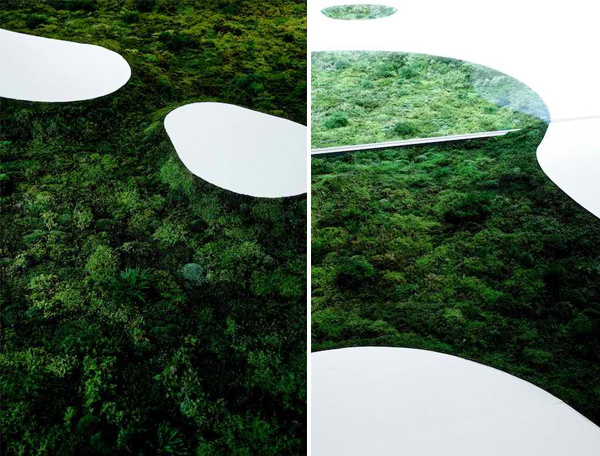 Just like the moss carpet that is a biodegradable moss planter. 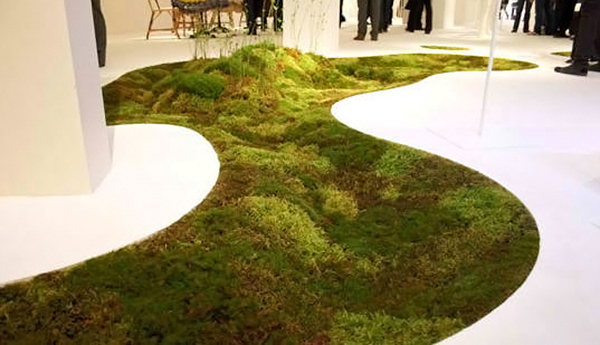 If you worry about plants that will look scattered and would grow really big inside your house, this moss carpet won’t. 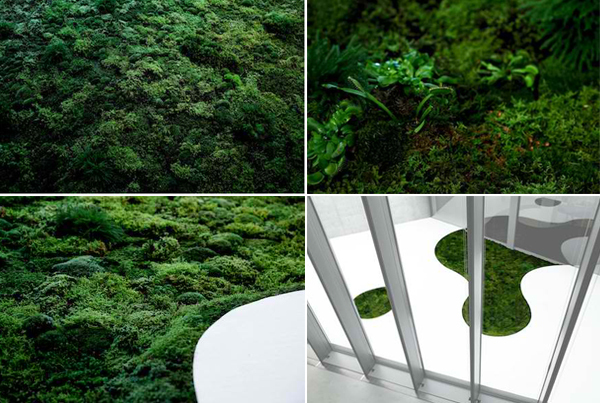 Japan-based flower artist Makoto Azuma collaborated with Unitika Ltd. to create this moss carpet. 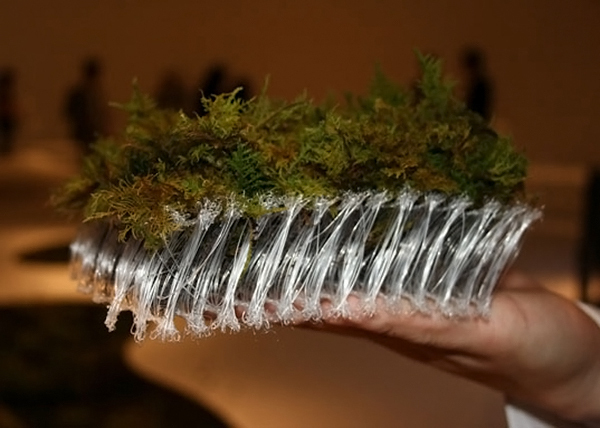 The plant’s roots have a product called Terramac which is “an eco-friendly 3D knitted and spun fabric which serves as a receptacle for the planter’s roots, protects the seeds, and holds the moss together”. It is made from polylactic acid fiber that is plant-derived. 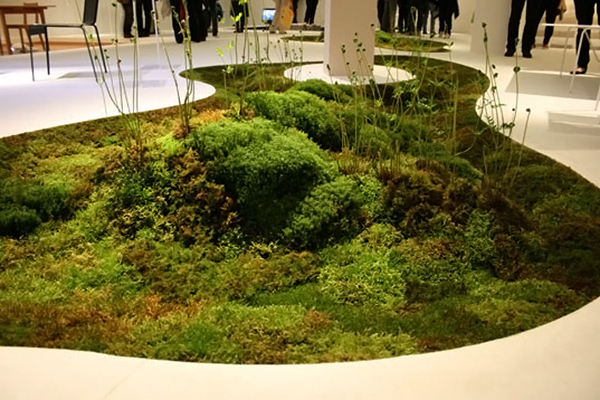 The moss carpet is indeed beautiful especially because of its free form. 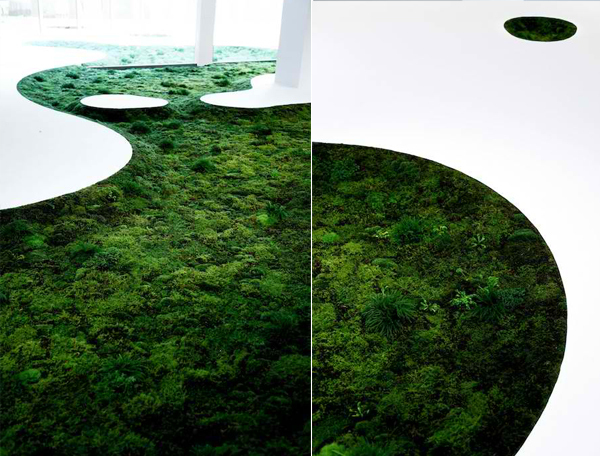 It is said that the real beauty of this carpet is its combination of a plant-derived plastic and the plant itself which is the moss. Using this combo creates an improved sustainable environment. And it really is beautiful in every perspective. Aside from being green, I like its form too that seems to flow seamlessly around the home. 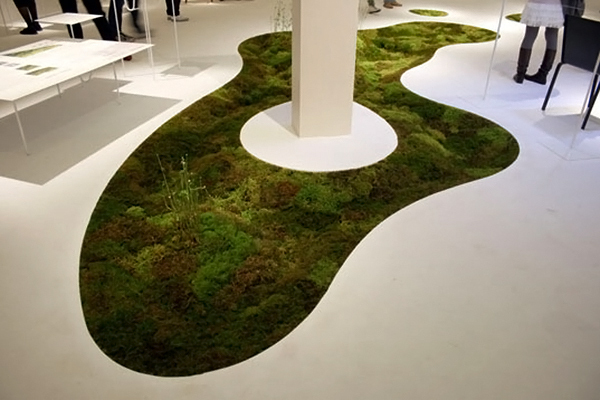 Of course, you can also create different designs and forms with this carpet since the moss will just follow that form. 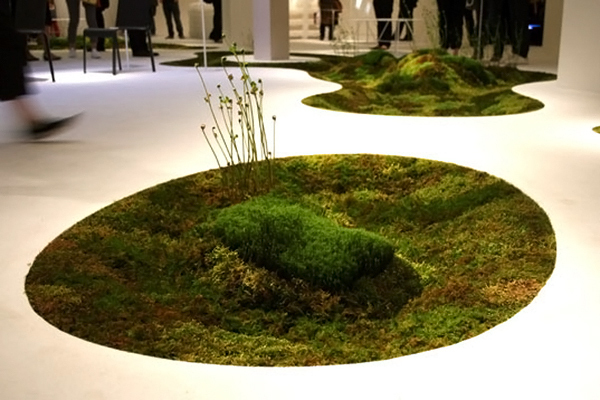 A closer look at the moss that covers this lovely free form carpet. The Terramac found under the moss is decomposed by microorganisms in compost or in the soil after 10 years allowing carbon dioxide and water to remain. When the planter decomposes, carbon dioxide is captured that allow photosynthesis. Beautiful! This is the most beautiful carpet I have ever seen especially for the fact that it is organic! 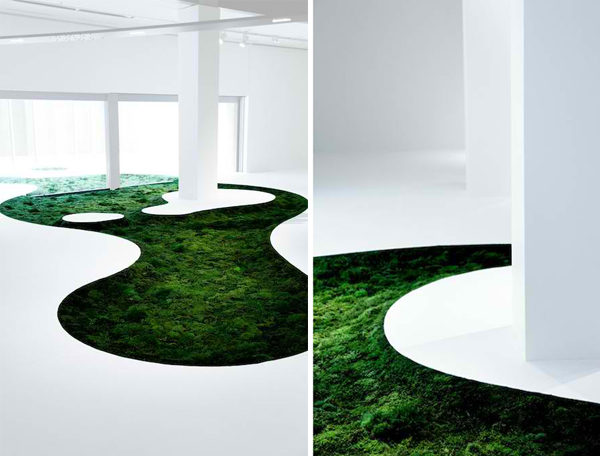 This was designed by Makoto Azuma and of course, as expected, many were delighted with this gorgeous organic carpet. I would love to have this in my house too!